Music store HMV has launched a new online shop, allowing customers to buy physical music products and take advantage of in-store discounts. 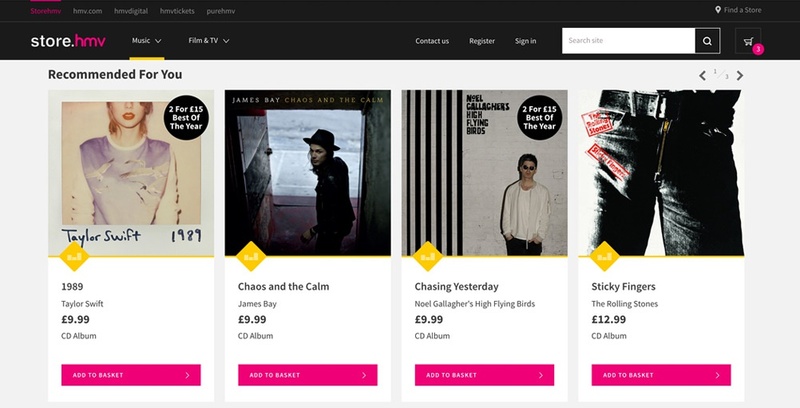 HMV has launched a new ecommerce website, allowing customers to buy physical music products online. The new website, store.hmv.com, was designed by consultancy Ridgeway. It sells CD, vinyl, DVD and Blu-ray formats, and users can take advantage of discounts that apply in-store. 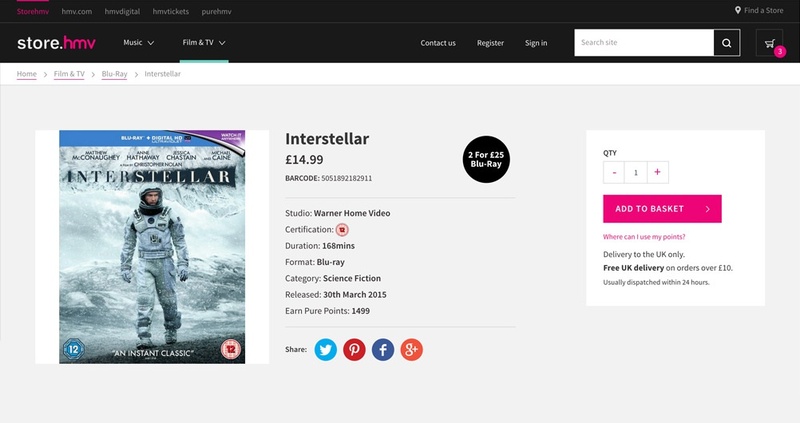 It also includes a pre-order service, and a “New and Trending” section allowing users to browse by genre and format. HMV, founded in 1921, previously went into administration in 2013, resulting in the closure of stores nationwide. Restructuring company Hilco then acquired the music store, resulting in the brand returning to profit and opening new stores. Ridgeway says the website has been designed “closely with HMV’s guidelines” and aims to “complement” the brand’s main editorially led website hmv.com. A top panel bar exists at the top of the homepage, providing links to all branded HMV websites, including: the main HMV website, hmvdigital.com, which sells music downloads, hmvtickets, for gig tickets and purehmv, which offers loyalty rewards. Calls to action also exist on the main site, linking users to the store site. 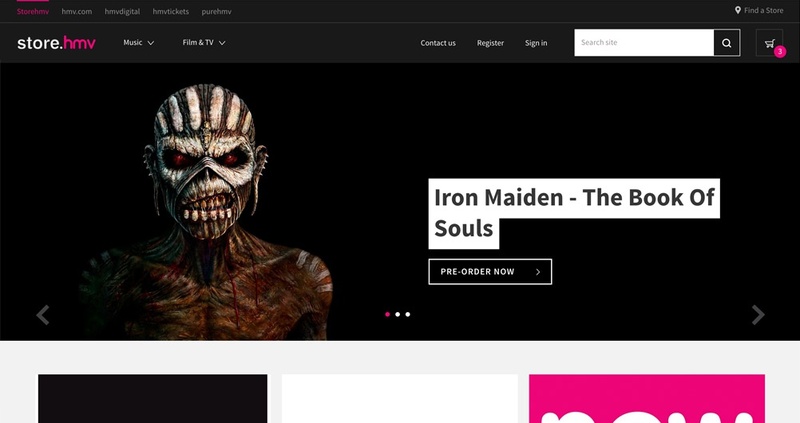 Store.hmv.com, which soft-launched last week, is currently in its first phase of development. Ridgeway is continuing to work with the brand on further stages. Which lost brands should be reintroduced to the high street?